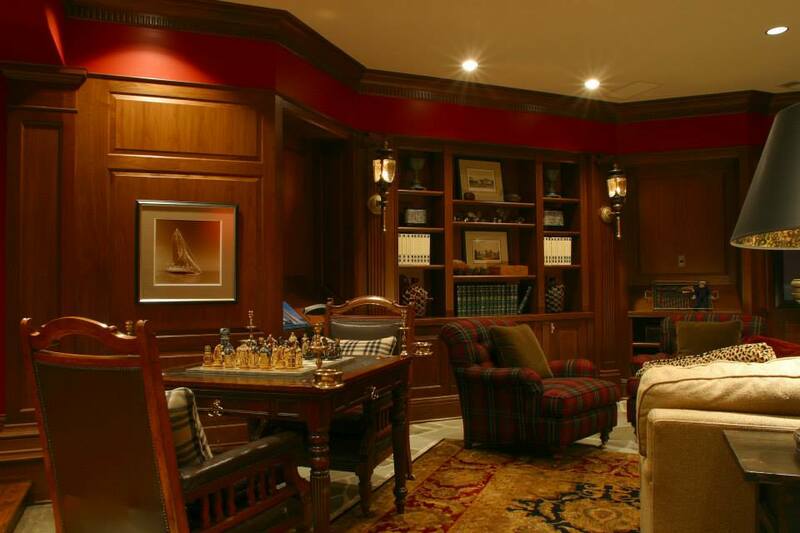 A gentleman’s recreation room in Severna Park created using walnut raised-panel wainscoting, fluted pilasters and two-piece crown moulding with a fluted detail. 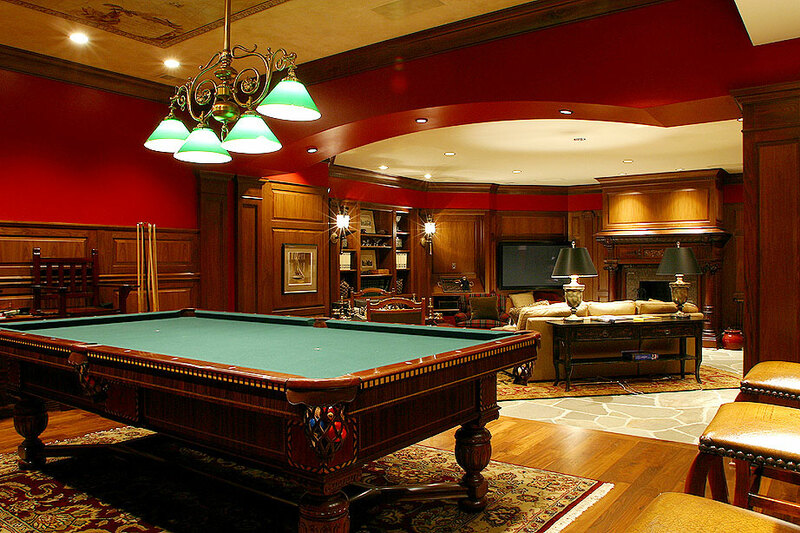 Walnut wainscoting is featured in the billiards area of the recreation room. 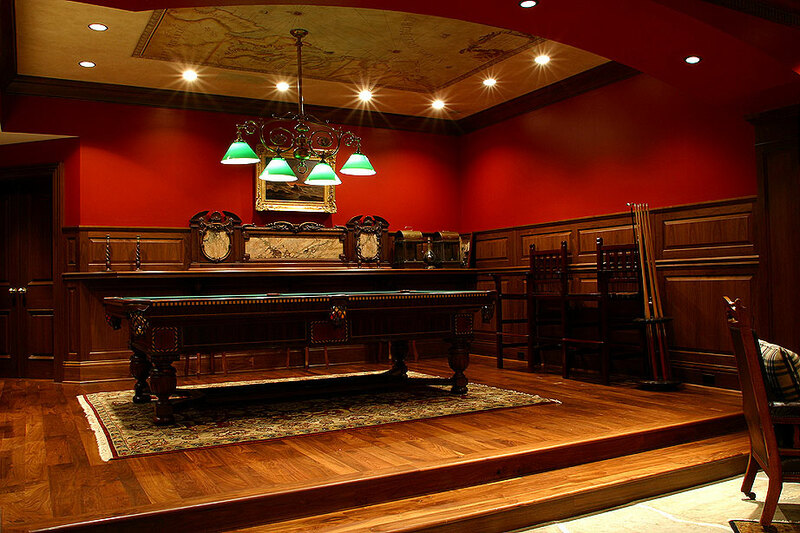 A drink rail follows the perimeter of the room and integrates with an antique piece from England. 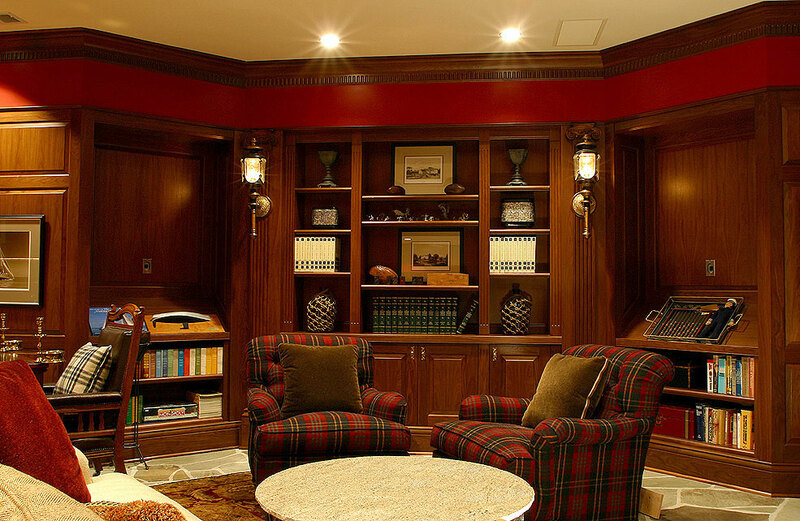 Angled walnut cabinets and bookcases create a welcoming alcove for conversation. An antique mantel is the focal point of this area of the room. The walnut bookcases, raised panel wainscoting, and two-piece crown moulding with fluted dentil detail, were finished to coordinate with this mantel, as well as other furniture in the room.